Brick buildings linning the square. The Dade County Bank and Dentist Office upstairs. Take a walk around our town square and enjoy a piece of history. It is lined with historical buildings. Beautiful brick buildings with plenty of charm & character. Some buildings are weathered and worn, others are being repaired and restored. 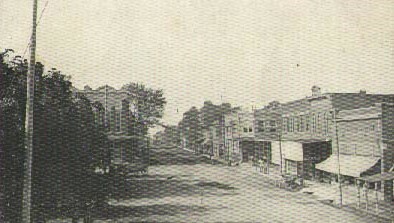 Greenfield was laid out in 1841. 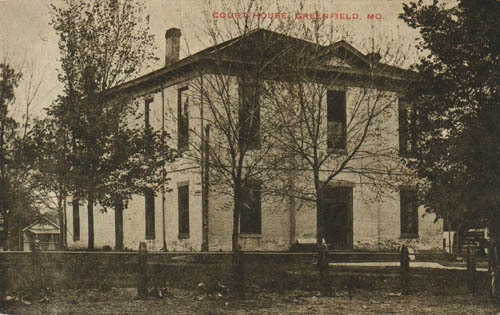 Greenfield became the county seat and in 1842 the first courthouse was finished. The Courthouse was later abandoned and a second one was constructed in 1850. This courthouse was later burned in October of 1863 by General Joe Shelby and his Confederate troops. A third court house was completed in December 1868, it was later condemned in February 1925. The present Courthouse which is three-stories and made of stone was completed in 1935. Immigrants from Kentucky, Tennessee, and the Carolinas, began to settle here and Greenfield grew. The town square began to grow as well. 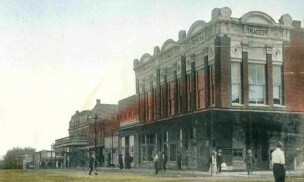 The Greenfield Opera House, which opened in 1888, was known as the “Jewel of the Square”. The square is lined with buildings built in the 1880s from bricks made in the Greenfield Brickyard. 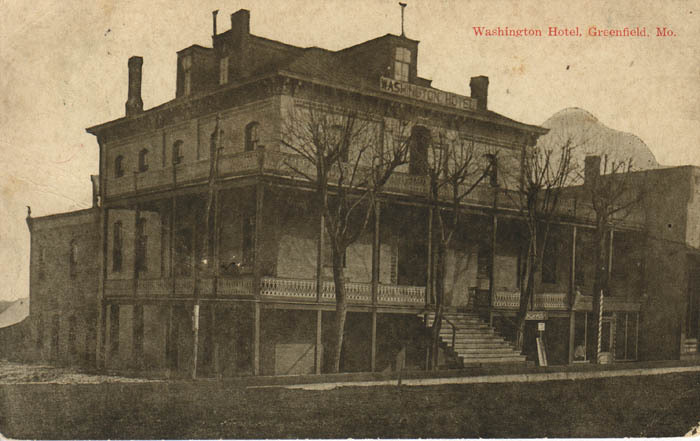 Also, located on the square was the Washington Hotel built in 1882, it was the first place in town to have a flushing indoor toilet and ceiling fan. The Hotel was host to many travelers, after WWI the business waned and the Hotel was neglected due to profit decrease. In the late 1960s it was closed and further decayed and fell to ruin. 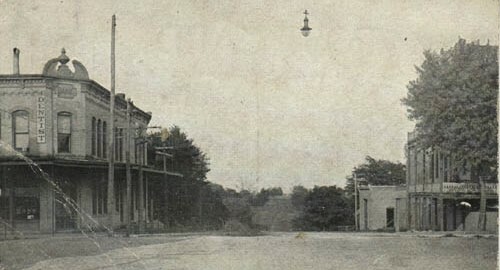 Decades later the hotel was destroyed. 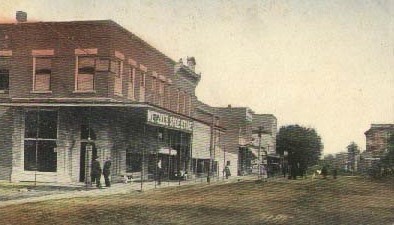 The town was once home to a farm implement store, a meat shop, a billiard hall, a wagon and buggy factory, a boot and shoe shop, a public school, two colleges, two newspapers, two millinery shops, two hardware stores, two restaurants, two barber shops, three hotels, three woodworking shops, and four drugstores. All these businesses populated the town by 1889. Because many of the buildings still stand, a post office called Greenfield has been in business since 1850. The Greenfield High School was opened in 1889 and is the oldest high school in Southwest Missouri. Three churches still used for worship were built in the late 1800s and early 1900s. Built in 1887-1888 the Greenfield Opera House is a three story, late Victorian style red brick building.